GSTV highlights our Early College Program and its students. 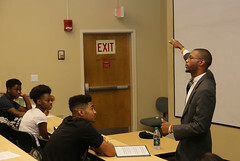 The Georgia State University Early College program, housed in the College of Education’s Alonzo A. Crim Center for Urban Educational Excellence, offers Early College High School students the opportunity to enroll at Georgia State University early to potentially earn up to two years of college credit in an effort to change the face of higher education. Early College is an intervention strategy for students who may not be well served by traditional high schools. 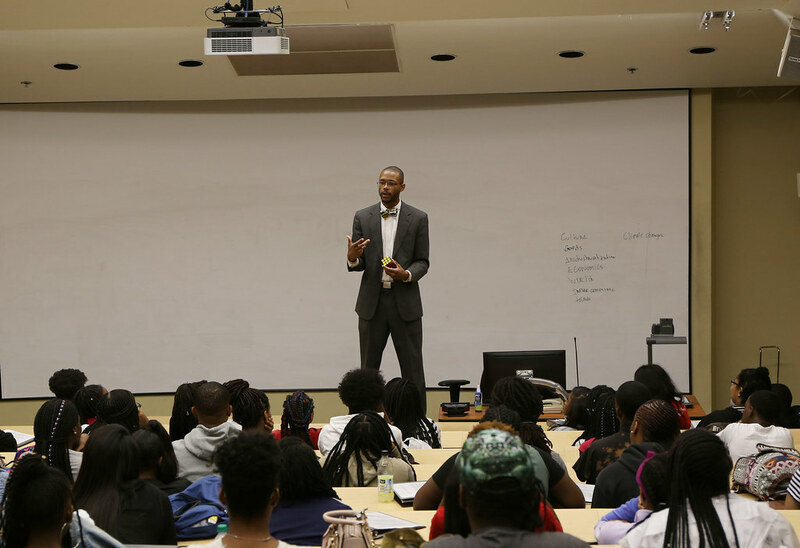 The initiative also seeks to change the face of higher education by targeting those students traditionally underrepresented on college campuses. 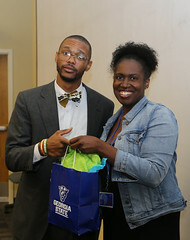 Since 2005, Georgia State University has served as the partnering university for its two Early College High Schools in Atlanta Public Schools. 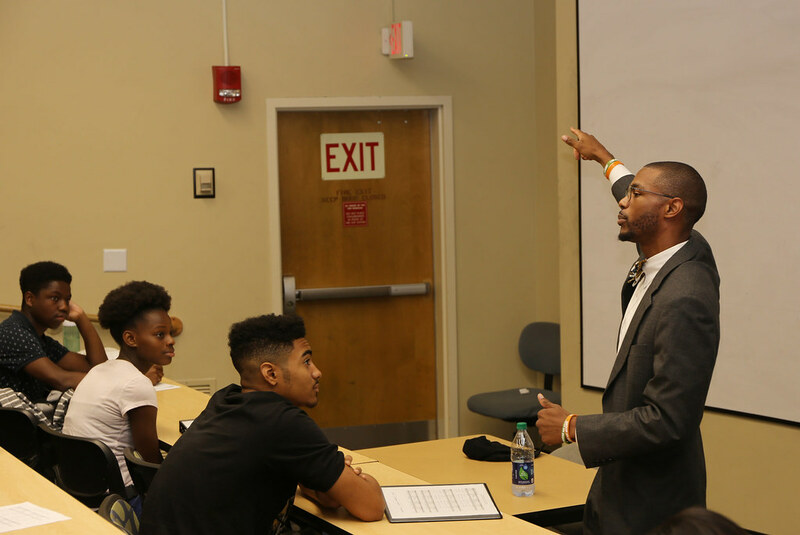 Within this model, underrepresented students — first-generation students, students from a lower socioeconomic status, students of color, and black male students — are able to begin their post-secondary tenure early with the assumption that they will continue their college tenure after high school graduation. 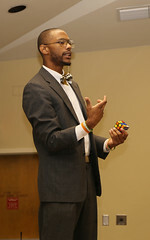 Under the guiding mission and philosophy of the national Early College program, the Georgia State Early College program has worked successfully to reduce the achievement gap and introduce the option of college to Early College students through successful programming and strategies focused on high school graduation and college and career readiness. Georgia State has placed itself in a position to lead the state in fulfilling its Complete College Georgia goal of producing an additional 250,000 college graduates by 2020. In doing so, Georgia State will also help to fulfill the White House’s goal of America having the highest proportion of college graduates in the world. The program has utilized various practices to improve college readiness such as parent orientations, summer enrichment programs, Touch-In’s, study sessions, professional luncheons, supplemental programs, and grade reporting. Early College Designs enable students to experience rigorous high school and college coursework that leads to improved outcomes. For information about the program and how to apply (Application Deadline: TBA.) please visit the Early College Summer Program website. There are limited need-based scholarships available. For more information please contact Dr. Tene Davis at tdavis134@gsu.edu, or 404-413-8074. 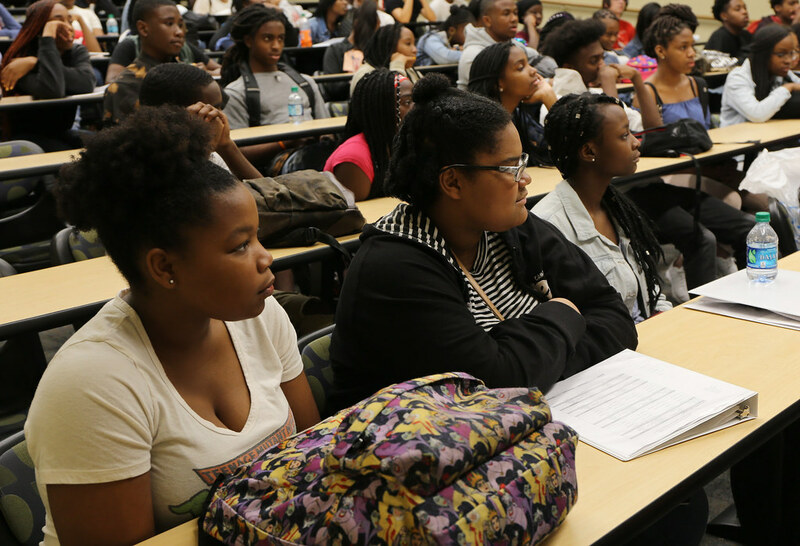 Take a look at the 2015 Georgia State University Early College Program Report that documents the impact of the program. 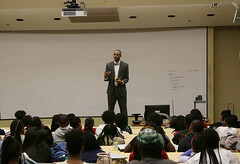 The Georgia State University/Early College Summer Enrichment program is an integral part of GSU’s larger college readiness program that it supports in partnership with Atlanta Public Schools and two of its High Schools, Carver Early College and Washington Early College. Its aim is to undergird the Early College high school students with the prerequisite academic, cultural, and social knowledge needed to achieve success at Georgia State while still in high school. 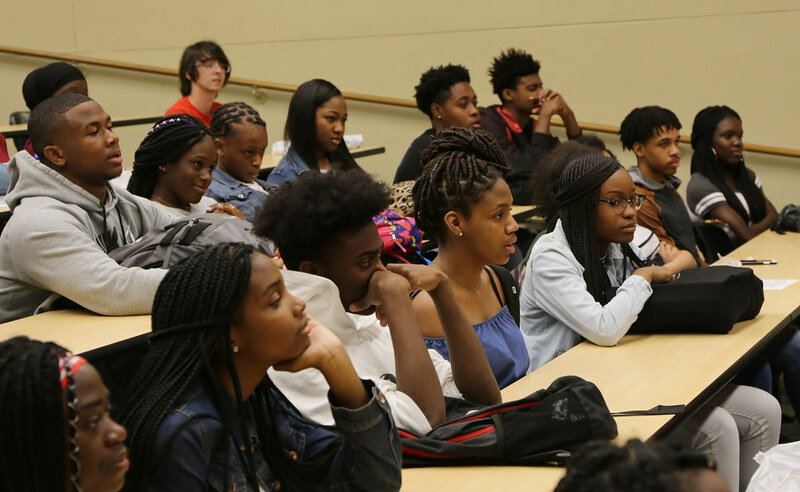 Students attend the Summer Enrichment program the summer before their 10th or 11th grade years for four weeks, taking core classes in the morning and attending enrichment sessions in the afternoon. This on-campus program hosts approximately 100 students allowing for the power of place to further enhance their experience. Other valuable experiences we offer are educational and cultural fieldtrips as well as community service opportunities. 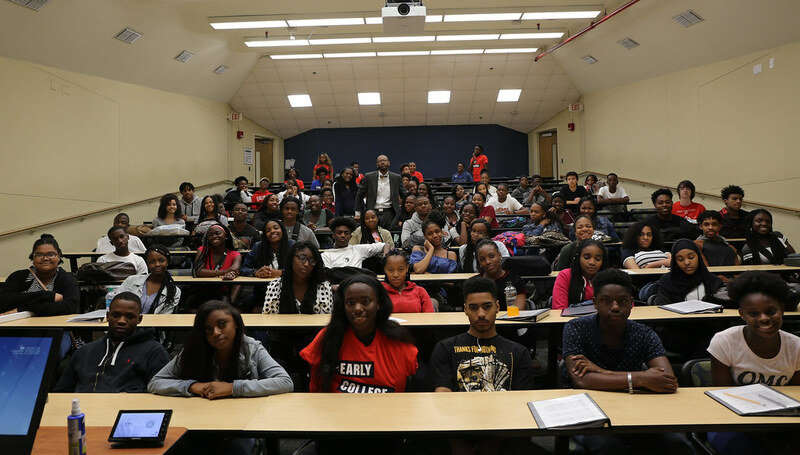 We have attempted to design a program that will attend to the varied needs of the Early College student. Early College High School Week will take place TBA. 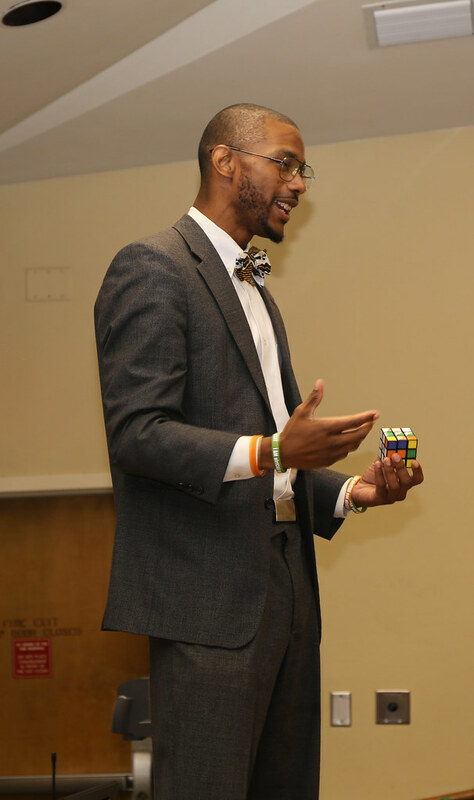 Last year's theme was #ALLMINDSMATTER, and was promoted through week long programming for Georgia State University Early College students and the local community. 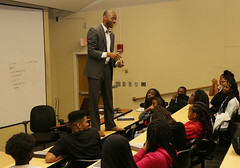 Activities included a visit to V-103, Hawks game night, an evening of spoken word, The Parade of Scholars walk and more. Early College also hosted a Spring Health Fair at Carter G. Woodson Primary school. View our Early College Facebook page. 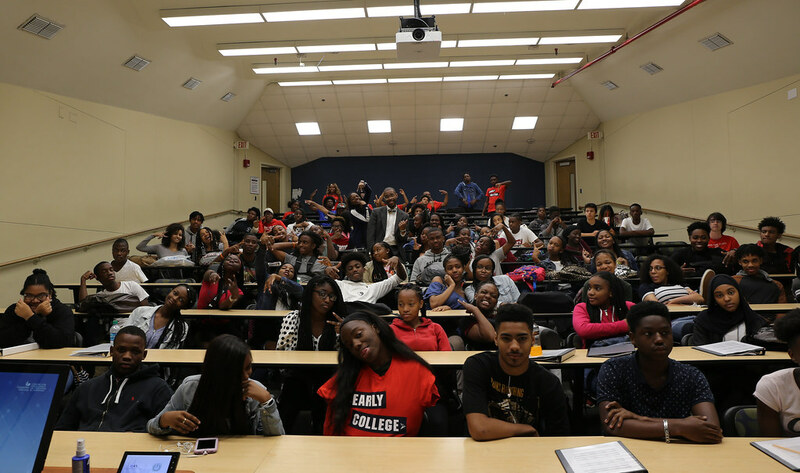 If you or your organization would like more information on how you can help us make another successful Early College High School Week, please contact Theresa Godbold, at tgodbold@gsu.edu.